Good, strategic keyword research is a crucial preliminary step when looking to drive more organic traffic to your website. Far too often people will do everything right when optimizing their website, only to see little to no increase in traffic – or they’ll attract the wrong kind of traffic only to be underwhelmed by their conversion rates. If this is the case with your website, it’s likely you haven’t chosen good target keywords to optimize your site/content for. There is hope, however! With a little bit of keyword research, you can get a better idea of where you should be focusing your efforts. In this article, we’ll share a few of the steps you should take when conducting keyword research for SEO purposes. Before you start thinking of keywords, you have to start thinking about the type of searchers you want to attract to your website. Who is your audience? What kind of content are they looking for? What are they typing into their search engine to try to find that content? Think about the information your website provides, or the products or services your business offers. Is it something that many people would search for online? If so, how are they likely to go about finding it? Try to put yourself in the shoes of your audience; this will help you brainstorm for potential keywords. If you sell a product what would you search if you wanted to find that product? Does your business primarily cater to local clientele? If so, try thinking of terms that include the name of your city or region. If you’re looking to attract a mass market, you may want to avoid technical jargon and industry-specific terms wherever possible. Instead try thinking about what the common person would search for. For example, if you’re a dental professional, you may be used to using the term “endodontic therapy”. However, as Google Trends shows us, people are much more likely to search for terms like: “root canal treatment” instead. Step 2: Use Google Autocomplete to your Advantage! Google’s autocomplete function isn’t just a convenience feature. It’s also a massively useful tool for SEO keyword research. This is for two reasons; first, if you begin typing a search term into Google and it offers to complete that term, this – as confirmed by Google – demonstrates that others are searching for this term in volume. This is incredibly important if you want more traffic. After all, what’s the use in ranking first on Google if it’s for a keyword that few, if any people are searching for? The second reason that autocomplete terms are a good starting point for keyword research is that these terms are more likely to be searched because of the convenience factor. Many people will take Google’s suggestions when searching because they believe it’s more likely they’ll find what they’re looking for by using those terms. Also, just because it’s simply faster than typing out the full term. Start typing in terms that come to mind and begin building a list of those keywords that Google offers to autocomplete. Open your notepad. Once you find a good, relevant, autocompleted term, copy and paste it and add it onto your list. After that, search for the term and scroll down to the bottom of the page. Google will offer a number of suggestions for related searches. These related searches are also a good indication of popular search terms. Click on any relevant ones and then scroll down and look at the related searches for that term. Keep going until you run out of relevant keywords to add to your list. The bigger your list is, the better. It’ll give you more keywords to choose from later on. Step 2.1: Avoid the Partially Completed Terms! However, be warned: avoid partial autocomplete terms! These are terms for which Google will offer to complete only part of the term, such as a single word at the end of your phrase, rather than the entire term. For example, let’s say you run a bakery in Toronto and are looking to attract those looking for local, fresh-baked bread. If you begin typing in “fresh-baked bread” Google will offer to complete the full term. However, if you begin typing in “Toronto” at the end of that term, Google will not have any predictions for the full term, but once you start typing in enough letters, it will be able to infer that what you’re probably typing is the word Toronto. When this happens, Google is simply attempting to guess the word you’re typing in based on the first few letters you’ve entered. This doesn’t necessarily mean that there’s any significant search volume for this term. Once you have a strong list and feel like you’ve exhausted your ideas for autocomplete and related terms, it’s time to get some of Google’s ideas for more keywords. A powerful tool for keyword research is the Google AdWords Keyword Planner. Although this tool is primarily meant for AdWords users, it is sill very popular among SEOs due to the massively useful keyword data it provides. 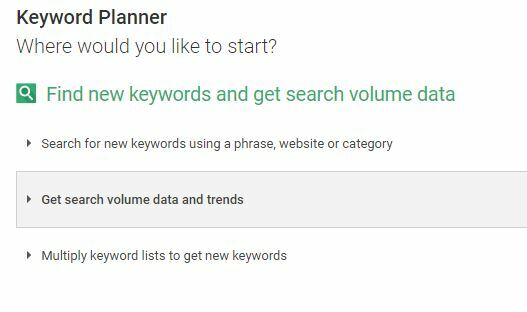 To use this tool, you may be asked to first create an AdWords campaign, however you can jump straight to the keyword planner by clicking the option to “Skip the guided setup” and then navigating to the keyword planner under the “Tools” heading. Select the option to “Search for new keywords using a phrase, website or category.” Take the list of terms you collected from autocomplete and copy them into the field. The keyword planner will display a number of statistics for each of the terms you entered, along with a list of terms it believes to be related. Scroll through the list and click “Add to plan” for any relevant keywords. Average monthly searches will be your main focus when choosing keywords, but also take a look at the competition. Although this refers specifically to AdWords competition, this can also be a good indicator of organic search competition for that keyword. Suggested bid, and impression share aren’t going to be very useful for our purposes however so those can be ignored. Once you feel like you’ve collected enough keywords, you can export the full list into a spreadsheet that you can edit with Excel or Google Docs. Open it up and begin sorting and selecting your keywords. There are several things you should take into consideration when selecting potential target keywords. The first, and most obvious, is the search volume. It goes without saying that the higher the monthly search volume is for a keyword, the larger the potential audience will be for that keyword. However, higher search volume also means there’s probably higher competition, which means it’ll be harder to rank for those keywords. It’s important to find a good balance between search volume and competition. You want to choose keywords that many people are searching for, but not those that have so much competition that you’ll never be able to rank for those terms. A good keyword research strategy is to look for long-tail keywords. A long tail keyword is simply a search term that’s made up of several words. These are typically more niche keywords and therefore are much easier to rank for if your website is targeting those terms specifically. Another important factor to take into consideration when choosing your keywords is the intent behind each search term. 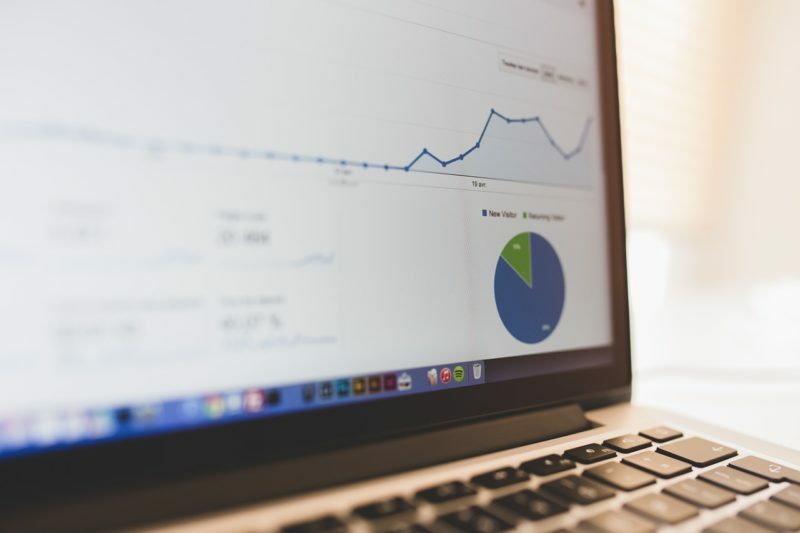 If you’re running an ecommerce website and looking to increase sales, you’ll want to look for keywords that are probably used by those that are prepared to purchase your product, rather than those who are simply looking to learn more about it. Selecting the perfect keywords is the most difficult part of the keyword research process, but it’s something that you’ll get a better feel for over time. Try these keyword research steps if you’re looking for the keywords to focus your next blog post or website around. While this method won’t guarantee you’ll find the perfect keywords, it’s better than blindly selecting terms and hoping for the best. Looking for a professional SEO services agency in Toronto? Read more about our search engine optimization campaign services and contact us today!